Four hundred definitive cartoons spanning five decade. From the vast repertoire created by Michael Leunig since 1965 comes this inspired selection of his most universal and timeless pieces. Such is his prophetic insight that many of them are more relevant today – and funnier and more ironic – than when they were first published. This beautiful, colour-filled hardback includes some works not previously collected, along with an introduction by Leunig on how he creates: the process of discovering 'poetry and spirit in the playful winding path that the semiconscious pen makes on a piece of paper'. The Essential Leunig is a testament to the enduring appeal of a unique Australian artist. 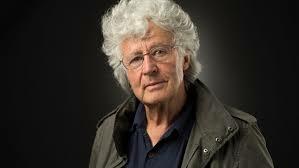 Michael Leunig has been drawing and writing for Australian newspapers since 1965. He was born in Melbourne and now lives on a farm in north-eastern Victoria. His work has been widely published overseas, and has been adapted in Australia for television, theater and radio. His many titles include The Penguin Leunig, The Travelling Leunig, Ramming the Shears, Everyday Devils and Angels, You and Me, Short Notes from the Long History of Happiness, Why Dogs Sniff Each Other's Tails, Goatperson and Other Tales, The Curly Pyjama Letters, The Stick, Poems, Strange Creature and The Lot. This large anthology is a great coffee table book and can be easily enjoyed a few pages at a time. There are many great visual portrayals of emotions and thoughts we all feel from time to time, as well as some fresh poetic insights (to me, at least). There are many colour illustrations in the book. All in all, I thoroughly enjoy this book. A comprehensive introduction to Leunig. Excellent commentary on life and the world. Should be studied at school.You just look at his cartoons and think that they are so relevant. A truly wonderful book. Pages full of cartoons and comic strips. A pick up for 10 minutes or an hour. Full of Leunig's philosophical and whimsical views on the world and life as he knows/interprets it. Best read in small doses as it does encourage reflection and pondering. Some pictures and cartoons are worth framing....just a beautiful book that can be enjoyed over and over again. If you love Leunig, you will love this! For Leunig Lovers this is the book to have and to hold. Everything about it makes me smile - the page size is perfect, the heft satisfying for this feast of cartoons so connected to the heart of things. The cover design, colours, embossing, interior cover and even the curly display of the publishing facts on the 'Thanks Be' page are so evocative of Michael Leunig. Love it! Michael Leunig has been drawing and writing for Australian newspapers since 1965. He was born in Melbourne and now lives on a farm in north-eastern Victoria. His work has been widely published overseas, and has been adapted in Australia for television, theatre and radio. His many titles include The Penguin Leunig, The Travelling Leunig, Ramming the Shears, Everyday Devils and Angels, You and Me, Short Notes from the Long History of Happiness, Why Dogs Sniff Each Other's Tails, Goatperson and Other Tales, The Curly Pyjama Letters, The Stick, Poems, Strange Creature and The Lot.